A fourteen-year-old boy in love is the most reckless thing. I just had to see my new girlfriend that night. To begin with, it was crazy of me to go for her when she lived in a different section of my township. You wanted to get your balls cut off and fed to the dogs you messed around in Section X, which was notorious for extreme youth gang violence in my time. My Section Z was a relatively newer part of the township with a vibrant aspiring young middle class by Black South African standards in the 1960s/ ‘70s. This means that, because I had also already begun to make my own money then, I had finer clothes and things; and, of course, attitude. So, I want a girl, I go for her; don’t matter where she stays. And the boys kept coming towards me in a semi-circle, pressing me against a fence; they could have been 5, they could have been 10, hard to tell. The speaker broke away from the semi-circle to come even closer to me. Leader. I hit the fence in retreat, the gang closes in even more; I make out the face of the leader. A few more faces became familiar. All were carrying striking objects, an invisible knife or two as well most likely. These were a notorious gang that was rumoured to have killed at least one person before. Serious trouble. Fear! Great concern – How am I going to explain to my parents the stupidity of bringing myself to death this way in the name of love? Goodness, they don’t even have an idea that I’ve already started these things! They sure are going to kill me a second time. Then I feel a lightness of my body like I am a feather suspended mid-air; total relaxation. Nice feeling. Something jerks, and a sudden urge to move overwhelms me. I moved like the wind. The leader I give one surprise right hook to the jaws and he tumbles like the earth just moved under his feet. The others freeze. I see an opening. Leapt over the fallen hero, and whirl-winded out of the semi-circle of startled young gangsters. Everybody down! I run. I trip over and almost fall. Only to realize that I had taken such a hazardous romantic trip in a pair of Converses without, as was the in-thing then, shoelaces. I took the shoes in my hands and ran for my life. I do not recall how I explained to my parents my unusually long absence from home that night. But they never got to know how close to death I had come. I thought it wise to stop seeing the girl, though it would be 28 years later that I would fall out of love. This is one of the stories of my life which have conditioned my killer instinct development as a tool for personal development, as well as working towards achieving the goals I set for myself. Because I have both in real and metaphorical terms come close to death many times, I have had invaluable training in the ability to detach, relax, let go, as well as dream, in the face of challenges in life. Almost without exception, looking back after having survived a crisis, I’ve found that coming down to zero-level (å nullstille seg: Norwegian/ mushin no shin: Japanese), inducing fear and worry to disappear, allows my subconscious me to harness and organize relevant mental and physical resources. This process enables me to intuitively structure and channel appropriate responses, saving my skin time after time. And this is what made me a fierce competitor in my younger Karate days. Many of my top Karate students have exhibited the same over the years, constantly re-lighting my passion for victory and success fire. In these Olympics 2012 days in London, it is ever fascinating for me to notice how it is those who manifest clearly own killer instincts who take the gold. Of course, each one has own stories to tell. However, the common thread for winners and survivors includes hours upon hours of training and repetitions, discipline, endurance, strength, power, knowledge, skills, routines, responsibility, obligation, duty, loyalty, devotion, trust, ambition, confidence, passion, direction, focus, hope, faith, vision, sacrifice, and patience. All this can be real scary stuff if you ask me. Not for the weak-hearted. 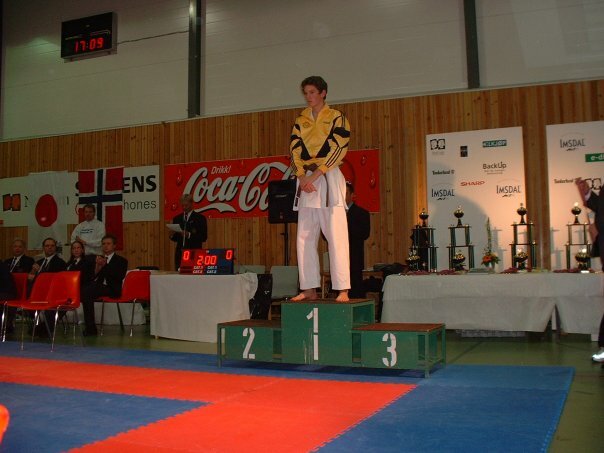 If you let fear rule your life, forget it: Only one Life, only one Killer Instinct, and only one Gold Medal position. By Simon Chilembo in Philosophy on August 5, 2012 .